American Development Co.: Easy to book with VacationRentalinPlaya.com!! American-development.com and Canada2Playa.com, the Real Estate experts in the Rivera Maya, are proud to introduce you the newest member of their family: vacationrentainplaya.com!! 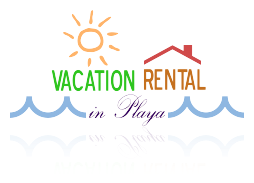 This site allows you to take care of all your bookings in the Riviera Maya anytime of the year!! The site is very practical, easy to understand and to use!! · Our Home Page - an overview of the characteristics of the Riviera Maya as the lifestyle or its location for instance. · Rentals keep you informed of all available bookings. How does it work? Pretty simply!! You first select the type of accommodation you want according to the number of rooms you need, and then just click on the one you like. The page concerning the accommodation is now right in front of your eyes. On the right side, you have all the characteristics of the house/apartment. The stars show you the number of bedrooms, bathrooms and how many people it can sleep. Finally you have the price. On the left side, pictures are displayed. Under the pictures, you will find first the whole description of your chosen accommodation. After you can check all the features and finally you will find the availability of the dates. Everything you need all on one page. · News and blogs shows you the latest updates about events and happenings in the Riviera Maya. · Activities propose a complete overview of all the activities to enjoy while you are in Paradise. · About us gives you an overview of what we do. ADC Group is about a lot more than just rental properties, and this carries over to a lot of areas where our rental clients could be interested. The true definition of a one-stop-shop. · Gallery a picture is worth a thousand words and these pictures show you what life is like down here taking in everything from our beautiful surroundings to the activities we recommend. · Contact us: We love feedback! Feel free to contact us with any questions, any concerns, or just a curiosity you have. We will be very happy to answer you and help you out in your research. Now you have all the necessary weapons in your hands to be ready to come down here and visit us for a while … or like some of us….forever….! Canada2playa.com and American-Development.com wish you a nice web surfing on VacationRentalinPlaya.com!! !